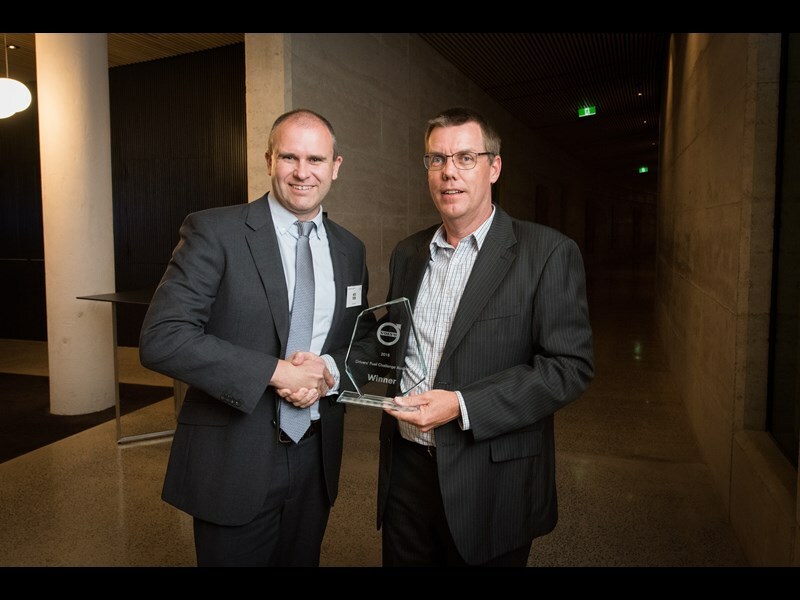 2015 Volvo Drivers’ Fuel Challenge winner Scott Chandler with Volvo Trucks Australia vice-president Mitch Peden. Scott managed to squeeze 42.53 litres/100km out of the Volvo to claim victory. 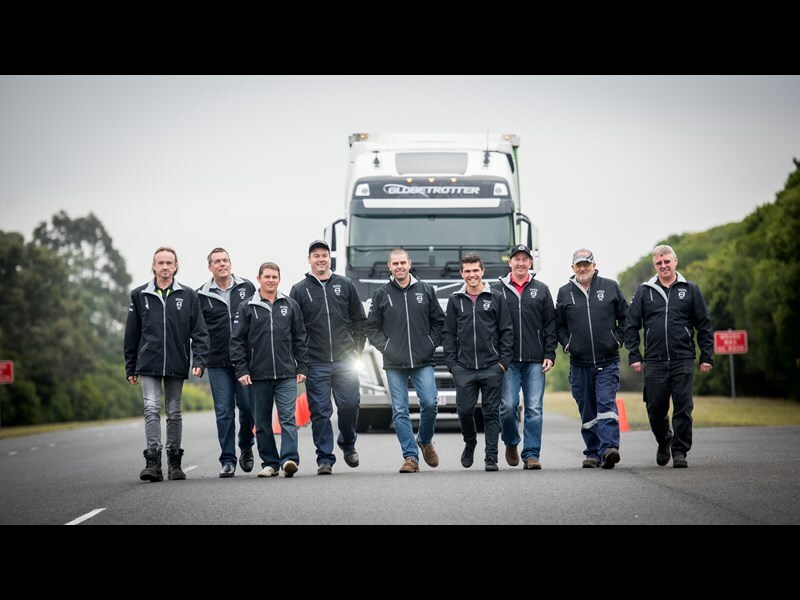 Ten finalists from around Australia competed in the 2015 Volvo Trucks Drivers’ Fuel Challenge Final. Volvo Trucks will analyse driver performance through Dynafleet. For budding participants, the Volvo Trucks Drivers’ Fuel Challenge is much more than a competition. It’s a pointer to future styles. The annual Volvo Drivers’ Challenge has evolved and 2017 sees an all-new competition format that aims to haul the transport industry into the future. This year the challenge will highlight drivers’ passion, energy, enthusiasm and commitment to safety, and will centre on a fuel efficiency shootout that’ll separate the truck driver from the steering wheel attendants. 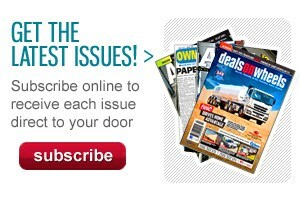 A new selection process has come into play, with six State winning finalists being announced by Volvo Trucks. What makes this unique is that the winning driver for each State was identified by Volvo analysing the Dynafleet scores for each driver. This was done over a period of time whilst the drivers were doing their everyday driving jobs – they weren’t just judged by competing in a one-off competition. By choosing the winning drivers in this way, Volvo wanted to demonstrate the ongoing impact and value of a fuel efficient driver on a business’ bottom line. Cameron Simpson, driver and maintenance manager at Simpsons Fuel, who has taken out the win in Victoria, says he and the team are over the moon. "The team and I were stoked when we were told the news," Simpson says. "I was surprised when I was told because we run a Volvo FM540 as a PBS-approved truck and dog with a 57.5-tonne payload. "It’s a heavy truck and we do a lot of uphill and windy work. 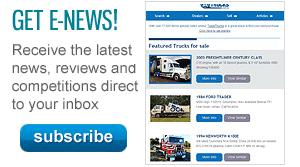 "It really reinforces that you can run heavy trucks, and run them efficiently as well. "It makes you aware of how you drive too, you have to concentrate 100 per cent of the time; you’re looking further ahead and you’re not rushing." The inclusion of Dynafleet data in this year’s selection process puts every driver in the running, something not previously possible in manufacturer driver challenges. 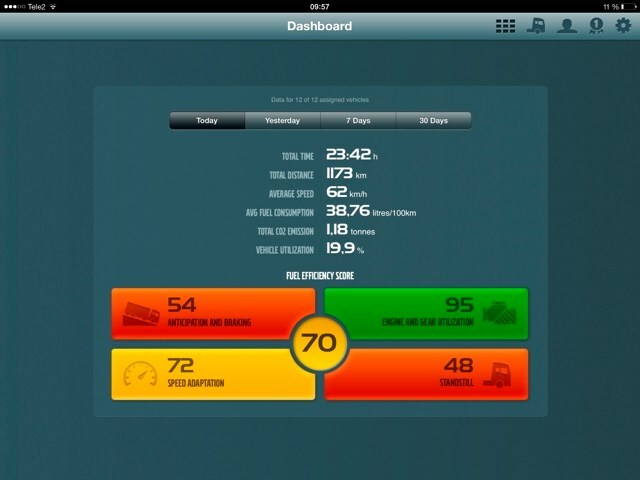 Dynafleet scores tap directly into driver performance, as measured by Volvo Trucks’ revolutionary Dynafleet software. The software system provides a driver Fuel Efficiency Score that ranks the operator from 0-100 based on four key areas: speed adaptation; engine and gear utilisation; anticipation and braking; and standstill. Not only does striving for a high score reduce costs and Co2 emissions, it also improves safety and vehicle longevity – important factors the Drivers’ Challenge highlights. One point of difference for the Dynafleet software and where it really shines, is its focus on constantly improving the performance of drivers rather than just highlighting poor performance. That’s what this Challenge is all about, constant improvement and a desire to do more than just drive – acknowledging the important part truck drivers and transport companies play environmentally. "The reality is that fuel economy is more important than ever; every drop really does count," says Volvo Trucks Australia vice president Mitch Peden. "While Volvo Trucks takes great pride in building trucks with extremely low fuel consumption, we believe it is equally important to have fuel-efficient drivers. "Collectively, they have a huge and direct impact on the bottom line as we continually see that fuel-efficient drivers are also safer drivers through the focus on the road conditions and traffic, and that efficient driving habits also lead to reduced costs in repairs and maintenance. "Dynafleet and the information it provides to both fleet operators and drivers is a crucial part of the fuel efficiency and overall cost reduction equation." 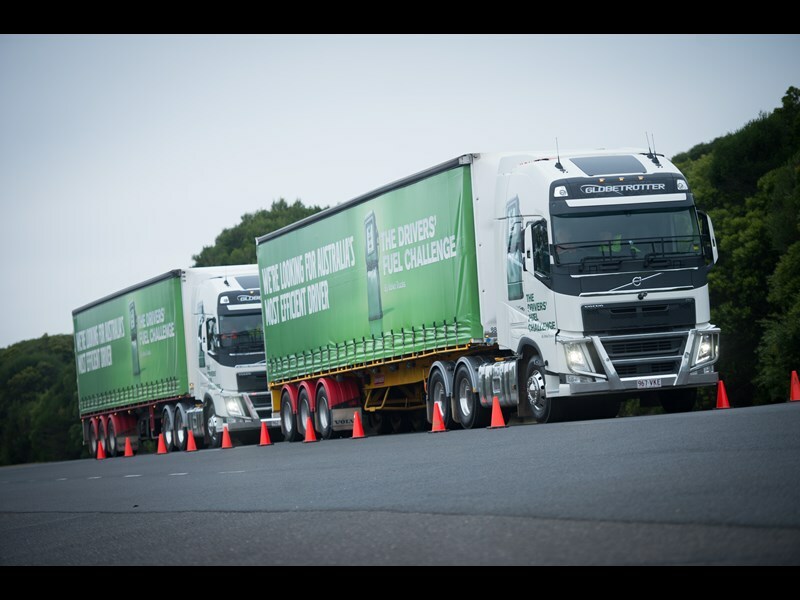 The six State winning finalists of the 2017 Drivers’ Fuel Challenge will compete, alongside dealer-nominated drivers, in a two-day semi-final and final to be held in Brisbane in July. The winner of this competition will go on to compete in an International Final held in Volvo’s homeland, Gothenburg, Sweden. The 2017 Volvo Drivers’ Challenge aims to acknowledge truck drivers for what they are – expert drivers every day, driving both trucks and the future of an efficient transport industry.